Do You Make Too Much Money to Receive VA Disability Compensation? As a Veterans Counselor, I speak with scores of veterans each week about asbestos-related issues and how various programs and options fit their specific situation. One item that often comes up is whether a veteran’s income is a factor when the VA is evaluating a claim for VA Disability. These responses seem logical. But they show a fundamental misunderstanding of VA Disability. Much of the misunderstanding comes from confusing VA Disability with VA Pension. Let’s examine the requirements for these two important programs. VA Pension is a benefit paid to wartime veterans who have limited or no income. Vets who are eligible are those who are at least 65 year old. So how much is “limited or no income?” This number changes every year, usually in December as adjustments are made for inflation and other factors. There are several categories, but the two main ones are Single Veteran and Married Veteran. 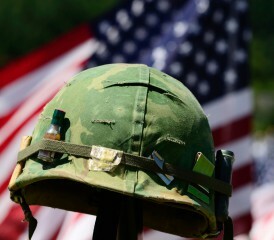 For 2012, the Single Veteran annual income limit for VA Pension is $12,256. The Married Veteran limit is $16,051. Keep in mind that Social Security does count as income, and it must be deducted from these limits. However, medical expenses may be deducted from the veteran’s income as long as they exceed 5 percent of the respective income limits. Exposed to Asbestos in the Military? VA Disability is a benefit paid to a veteran because of injuries or diseases that happened while the veteran was on active duty or were made worse by active military service. (It is also paid to certain veterans disabled from VA health care). VA Disability benefits are tax-free. Veterans may be eligible for disability compensation if they have a service-related disability and they were discharged under other than dishonorable conditions. Notice that there aren’t any income restrictions for VA Disability! This is because if the VA finds the veteran’s condition to be service connected, it is admitting that the veteran’s service played a major role in their condition and the veteran should be compensated as a result. Obviously, a veteran’s current income should have no role in this “service connected” determination  and it doesn’t. I hope this helps dispel some of the confusion about VA Disability Compensation and VA Pension. Here’s the big takeaway: Income is NOT a factor for VA Disability Compensation. If you would like to learn more about VA benefits or the process to receive benefits after being diagnosed with mesothelioma or another asbestos-related disease, give our Veterans Department a call at 855-401-5187.